Discussion in 'Short Stories - Authors - Writing' started by Clyde C Coger Jr, Sep 19, 2015. That knuckle dragger was non-violent as longe as there were no Blacks around. Also, he was/is an Indian "hero", why would he have been pro Black? why would he have been pro Black? Maybe because of the Dravidian peoples, you think? Very interesting. I looked on your link, and found that these people look awfully similar to us. How can they look so similar? Same complexion and everything? And not be considered Black? Good point, its pure Racism. But this still doesn’t explain why Gandhi should have been pro Black. 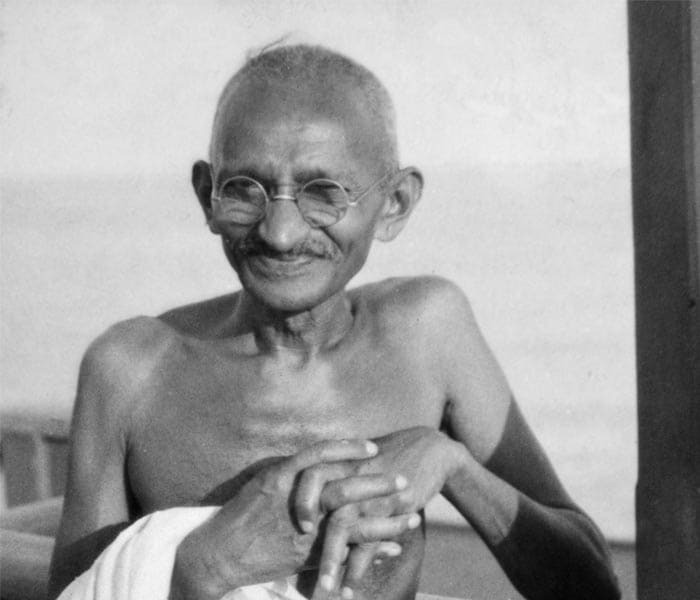 Gandhi looks like the offspring of an eel that has procreated with a Caucasian. Ghandi could have been a rogue thinker but black Hindus or Indians are of African hertiage, read about the migration of Africans to India and if you do some DNA research the average Indian today has a percentage of african DNA varyibg from 10-60% so Ghandi was just feeling some sort of insecurity after the europeans expressed thier propaganda. The Nazis stole a lot of information from The Vedas, for the main point Aryan is a sanskrit word and the "swas sitka" is actually in many cultures of polytheism like African & Hindu traditions but the nazi stole it and chnaged our perception of it. Truth is Melanin = Descendants of the orginal people. The most recent studies concerning the Aryan/Dravidian myth include language studies, which have attempted to decipher and thereby discover the origins of the Indus script, and the Vedic manuscripts, to determine the origins of the Sanskrit in which it was written. Excavations at the site of Gola Dhoro in Gujarat suggest the site was abandoned quite suddenly, although why that may occurred is yet to be determined. Born from a colonial mentality, and corrupted by a Nazi propaganda machine, the Aryan invasion theory is finally undergoing radical reassessment by south Asian archaeologists and their colleagues, using the Vedic documents themselves, additional linguistic studies, and physical evidence revealed through archaeological excavations. The Indus valley cultural history is an ancient and complex one. Only time will teach us what role if an Indo-European invasion took place in the history: prehistoric contact from the so-called Steppe Society groups in central Asia is not out of the question, but it seems clear that a collapse of the Indus civilization did not occur as a result. The flawed and racist Aryan Invasion Myth was developed in the late 19th century to explain the blossoming of the Indus River Civilization. Ghandi could have been a rogue thinker but black Hindus or Indians are of African hertiage, read about the volunatry migration of Africans to India and if you do some DNA research the average Indian today has a percentage of african DNA varyibg from 10-60% so Ghandi was just feeling some sort of insecurity after the europeans expressed thier propaganda. Good stuff, thanks. I just posted similar information. Thanks, Im actually a big fan of India but still doing my homework. rhymebad, Mar 14, 2019, in forum: Black Poetry - Get Your Flow On!